Granite. A glittering, resilient rock. The Barefoot Barn where we hold our Wise Goose Devon training programmes stands upon granite, the house I live in is built from it. Both overlook the huge granite plug of Dartmoor. Granite is one of the defining characteristics of this place. The moaning, whistling, howling or whispering of wind is another; it’s usually south westerly – you can tell the direction by the lean of stunted hawthorn and oak. Water is another element of this place, drizzling or pouring, to be soaked up by the spongy ground that is our watershed; as I write this the landscape is wrapped in a gentle Dartmoor mizzle. The song of moving water is never far away, sometimes quietly dripping or gurgling, sometimes running off the tors in amber torrents, nudging the granite clitter downslope into streams which run away to meet the sea at Teignmouth. ‘Granite Song’, by local sculptor Peter Randall-Page, rests unlabelled, a secret waiting to be chanced upon, on a small island on the river Teign. At first glance this egg-like granite boulder is like many others nearby. Embedded in the landscape, it could have been tossed there by the river. But it has been split in two like a walnut, revealing carved organic, labyrinthine patterns. 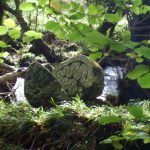 The sculptor has taken granite and made it a living part of a tradition of the moors with its standing stones, reaves and hut circles, knitting together a relationship and resonance between the people of this place and time and the land. In this simple sculpture there’s a sense of belonging, a vision of participation; a sense of place. Here at Wise Goose we believe place matters in coaching, it can shape, inform and sustain us, place is both geographical terrain and a terrain of consciousness. That’s why, whether in the wilds of the countryside or the midst of the capital city, we do our best to find venues where we have a relationship, that provide opportunities to reflect and renew, connect with context and draw out a networked perspective. Most professional development courses are held in rootless, sterile and bland conference centres. Even mansions set in pristine landscaped gardens there’s often a disconnect between the content taught and the wider context of work – they don’t nurture a sense of place. A sense of place weaves together the physical characteristics of the land with memory, art, story, metaphor and history. The inexplicable feel, sight, sound and smell places leave on the skin and mind affect how we approach our work and our lives. Connecting beyond our self in this way can inspire an embodied, systemic, networked, holistic approach to coaching that places human persons, organisations and communities as part of their world, co-creating their world, in service to a vision of a better future. Our Space in the City: In the midst of King’s Cross Development site close to national and international transport networks, the Skip Garden is a unique and quirky space. Amongst the lettuce leaves , blossom trees and open fires are unique indoor spaces, purpose built for all kinds of learning and personal development opportunities. The venue also boasts a thriving café serving food from the garden. Our Scottish Collaboration. It is a real privilege to be working with the Findhorn Foundation to deliver a residential, intensive Foundations course in Core Coaching and Mentoring Skills in Scotland. Nestled amidst dunes and forest, bay and beach, the Findhorn Foundation is an internationally respected ecovillage community and spiritual learning centre dedicated to inspired action and a vision of creating a better world. The Barefoot Barn is our original venue and ‘home’. 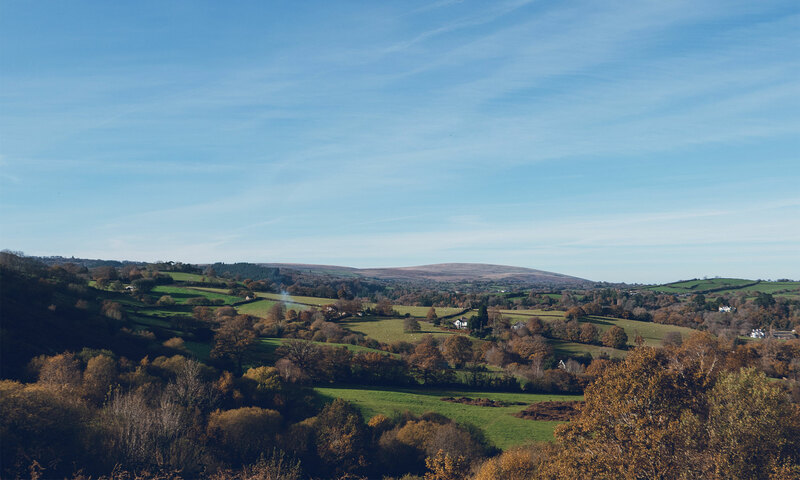 Set in six acres of woodland, glades and ponds with views across the atmospheric and spectacular ancient landscape of Dartmoor. An ideal location from which to practice outdoor walking coaching and widen perspectives. The Barn was initially created for the local community of Chagford, 20+ years ago, for the teaching and practice of meditation and yoga and is a few minutes walk from the centre of Chagford a historic and vibrant town, in an area of outstanding beauty, on the edge of Dartmoor and within easy reach of the M5, Exeter airport and the national railway network. Beginner Coach – What’s it really like to start out? Will you make that change in 2018? © 2018, Wise Goose Limited.